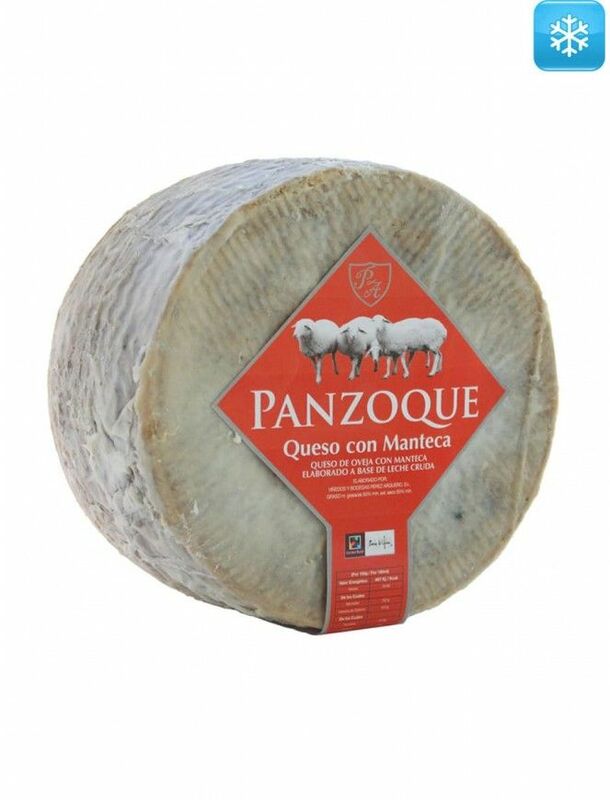 Raw milk of Manchega sheep. 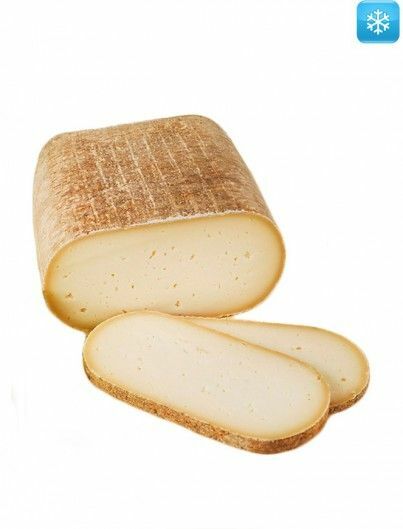 Its paste has an appealing ivory color and a firm texture. 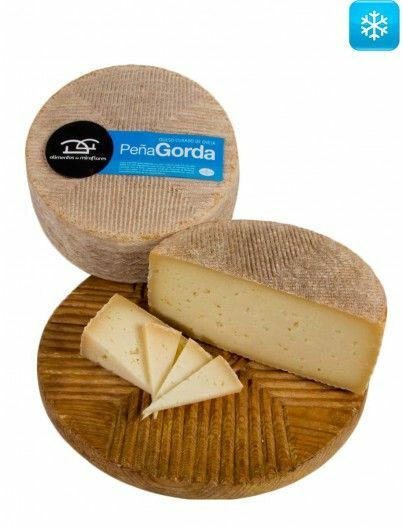 Throughout the ripening, it gets the lard flavor and aroma. 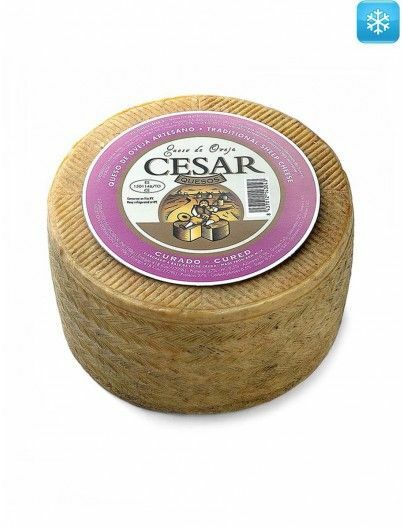 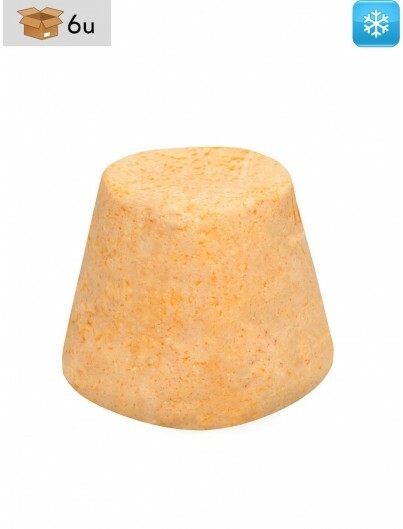 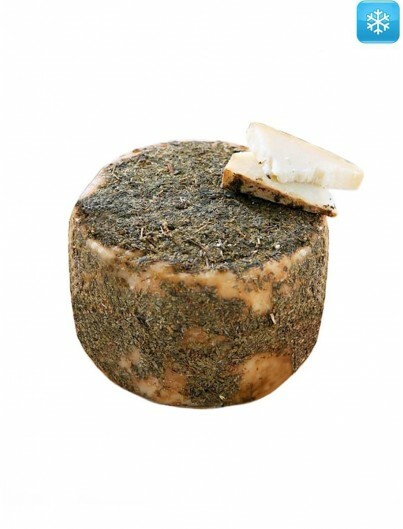 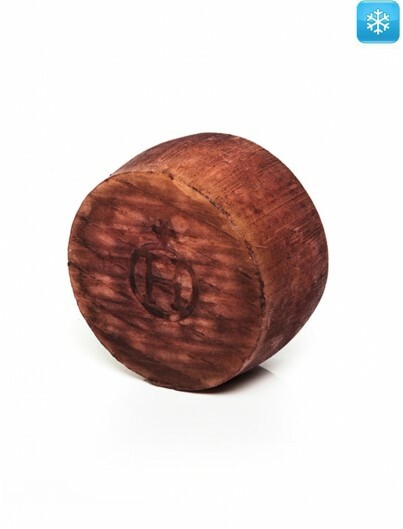 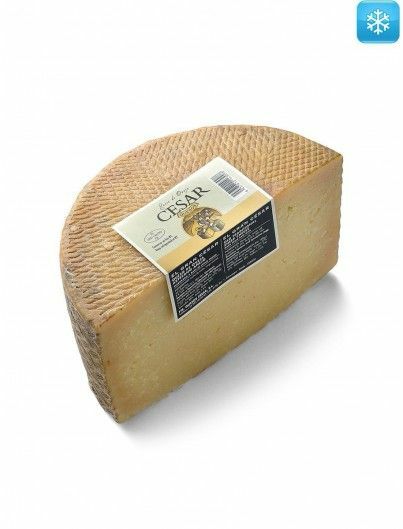 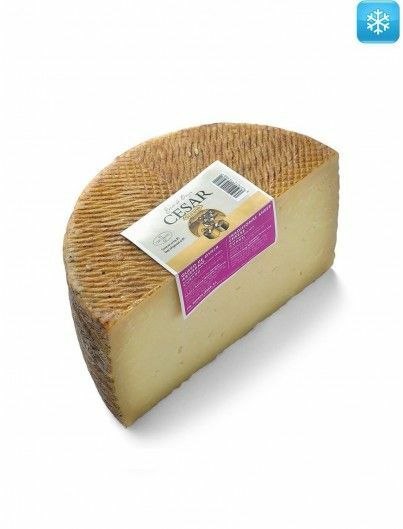 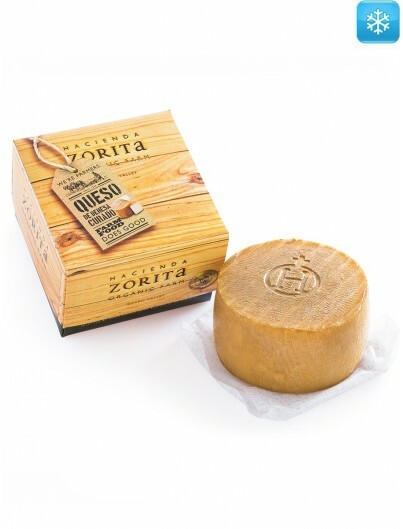 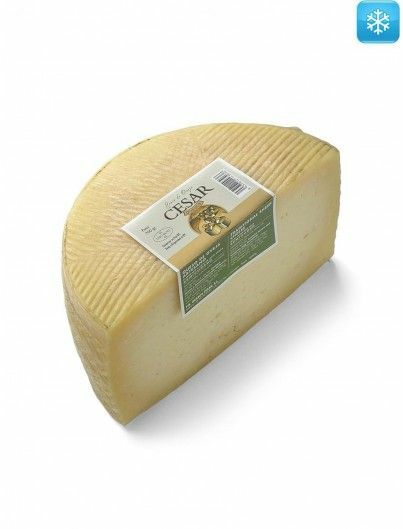 This pure cheese made with raw sheep’s milk is born of a long family tradition from Toledo. 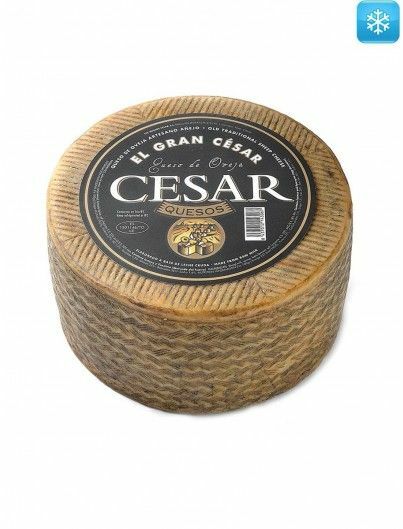 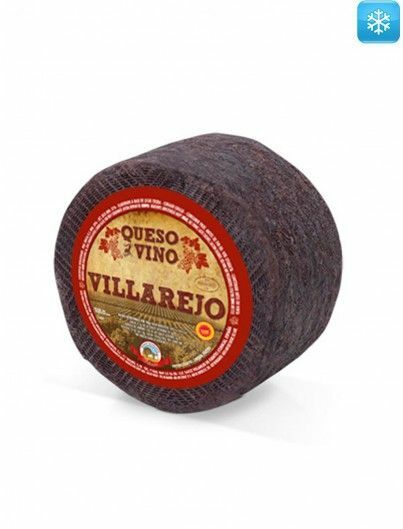 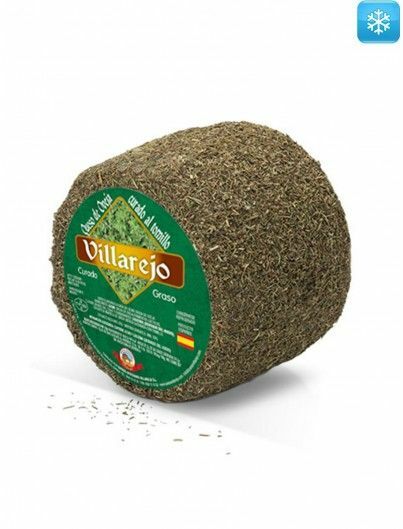 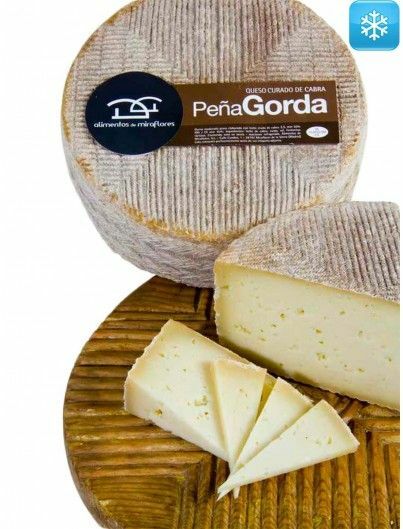 With an approximated curing period of 10 months and coated with Iberian lard, a cheese of an intense flavor, softened by the sense of lard that melts in the mouth, is obtained. 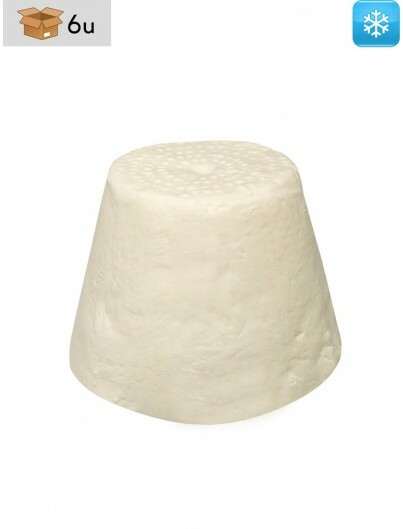 Its paste has an appealing ivory color and a firm texture. 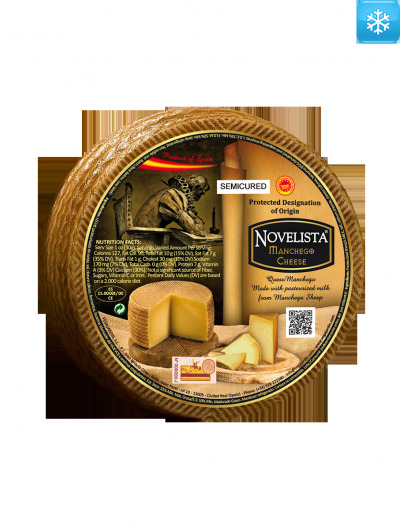 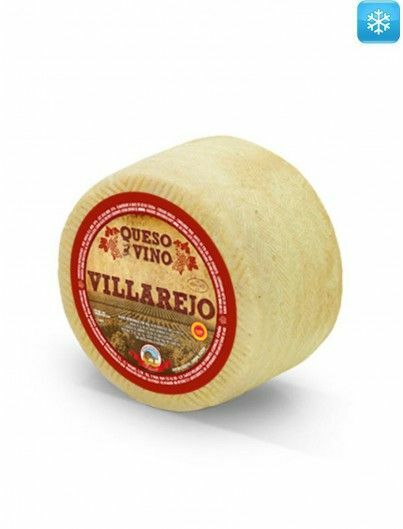 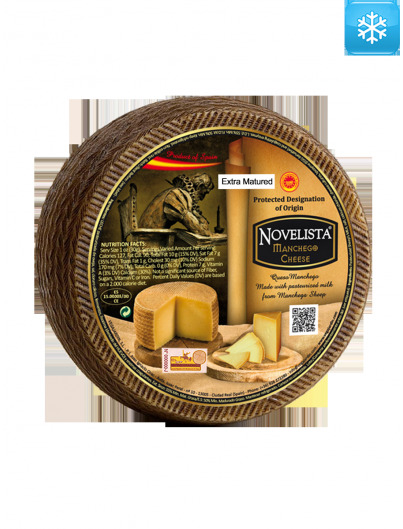 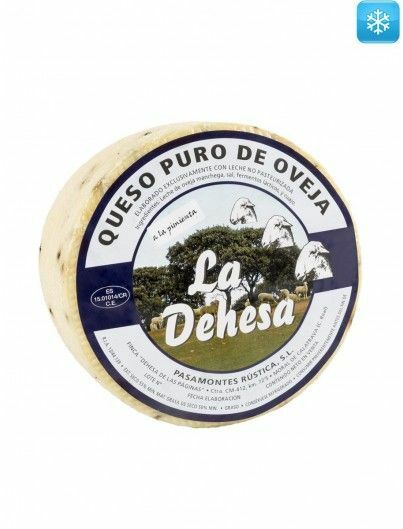 On the palate, very particular and differentiated touches, typical of the traditional taste of cheeses from La Mancha, are perceivable. 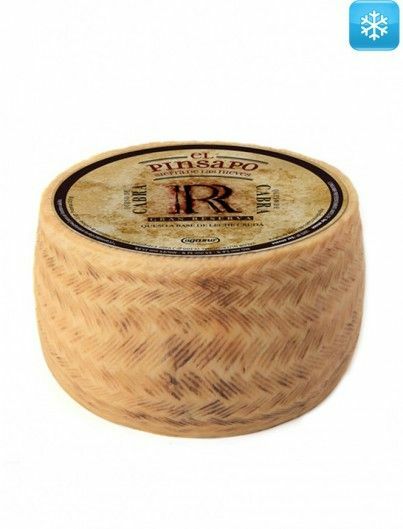 Throughout the ripening, it gets the lard flavor and aroma. 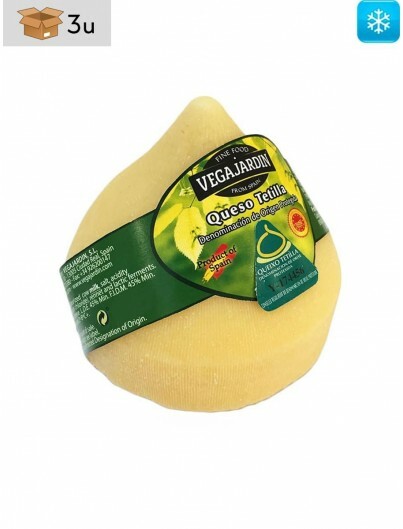 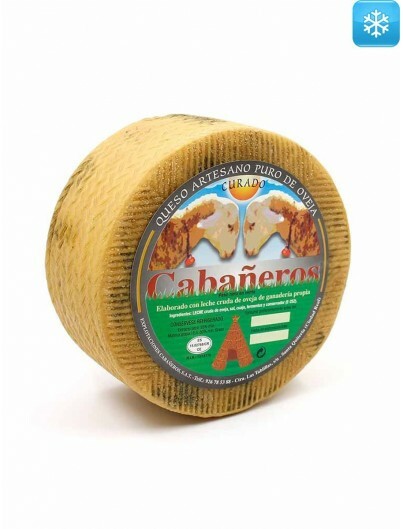 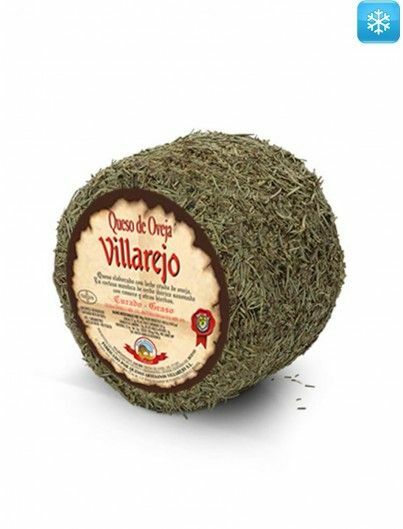 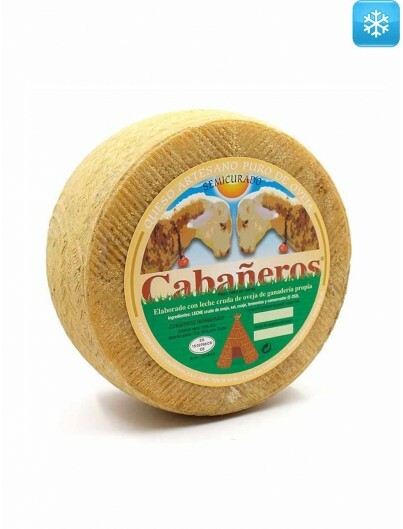 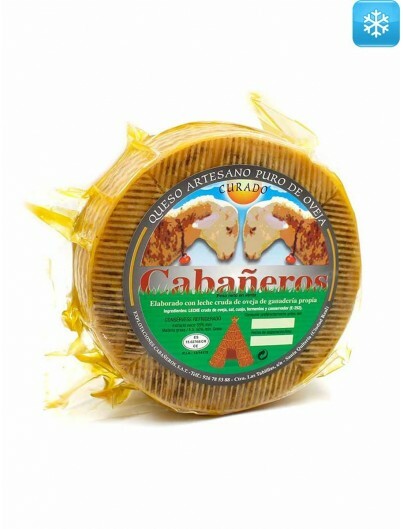 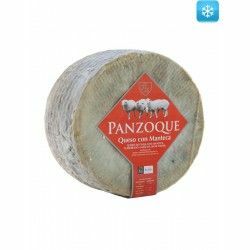 The milk used in the production of this sheep cheese with lard, conveys an incomparable and authentic taste to it, as a result of the traditional production process of cheeses in La Mancha. 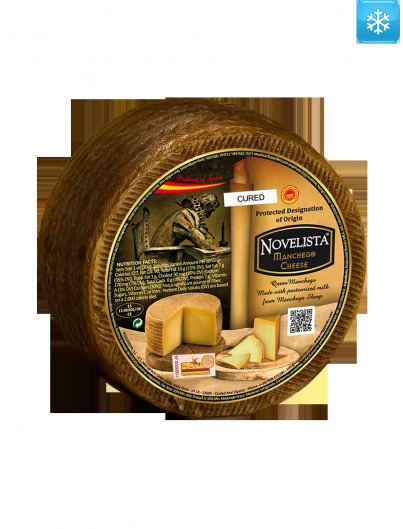 It is in this region where the origin of this ancient tradition of shepherds devoted to the production of cheese is found. 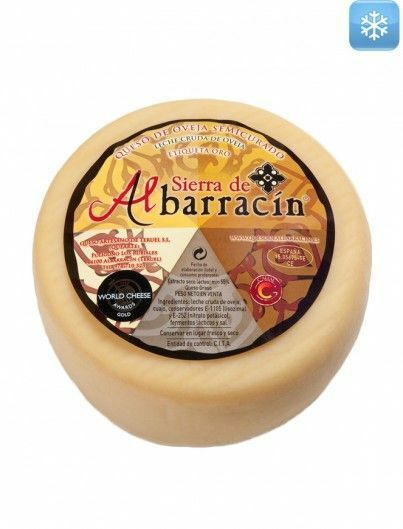 Raw milk of Manchega sheep, salt, lactic ferments, rennet, lysozyme (egg derivative) and iberian lard.